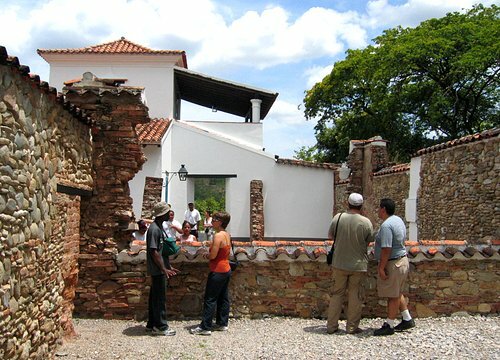 In the town of San Mateo, just a few kilometers down the road from the Hotel Hacienda El Recreo, was the Ingenio de Bolívar Casa Histórica de San Mateo - Museo de la Caña de Azúcar. 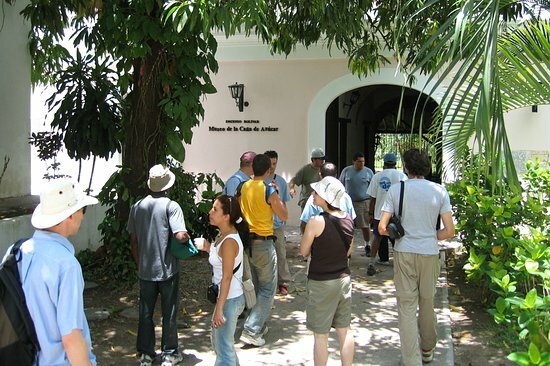 This hacienda once belonged to the Bolívar family. It was granted to them in 1593 after they came to Venezuela from Spain. 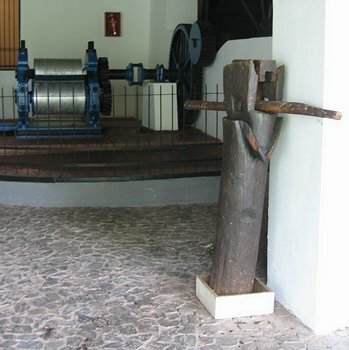 In the early 1700's a sugarcane mill was built. 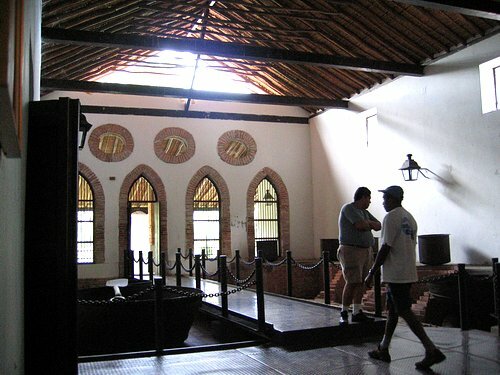 The whole hacienda is now owned by the government and is a museum. I think the picture below is actually what would have been the servants quarters. 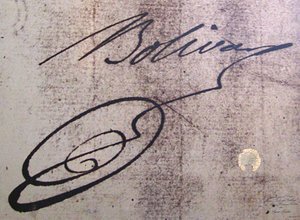 Simón -- El Libertador to his friends and enemies -- was the leader of the revolution that lead to the independence of the entire northwest area of South America from the Spanish in the early 1800's. 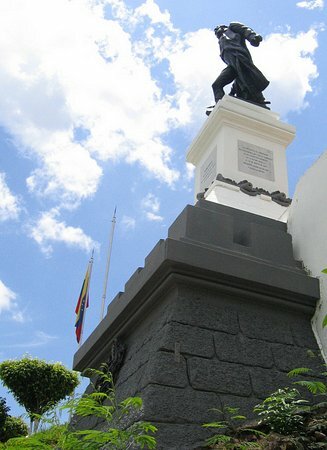 While he died rejected and poor -- a result of his dream to unify the areas now known as Ecuador, Columbia and Venezuela into the country of Gran Colombia, or rather his inability to successfully hold such a large and diverse region together -- nearly every town in those countries now have a road or a plaza named for him. His military prowess, with no formal military training, is still highly regarded. The Museo de la Caña de Azúcar was a pretty interesting place, unfortunately everything, including the tour, was in Spanish. It might have been OK if they would have spoken very very slowly, but I've never been anywhere where that was done. 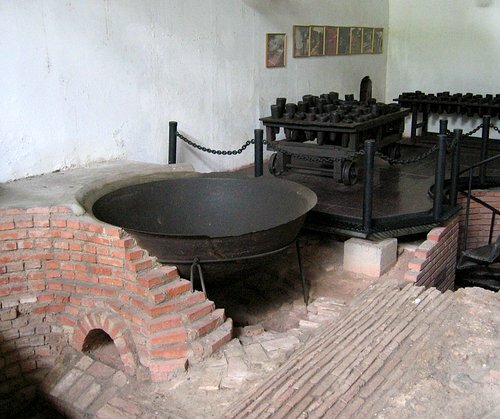 Below are some pictures of the main cooking area where the juice of the sugarcane was was boiled down so it could be formed into bricks of sugar. Below is one of the paila (kettles) where the juices were boiled. Large fires were build below them on the level below this. Keeping the fires going must have been a fun job. In the background are the moulds that were used. The staircase to the next level. 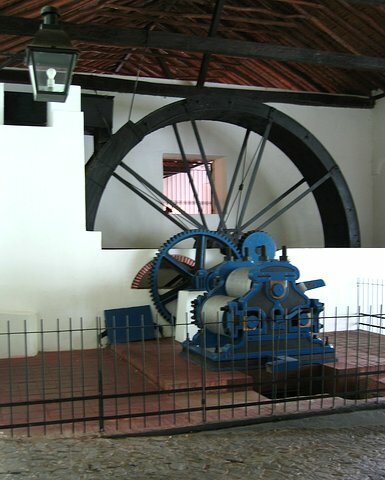 The sugarcane 'squeezer', below, used a water wheel for operation. Before this was installed the cane was pounded with the "log" in the other picture. In support of the war for independence a military camp was set up on the land in 1814. This did not set well with the Spanish and the loyalist armies, of course. 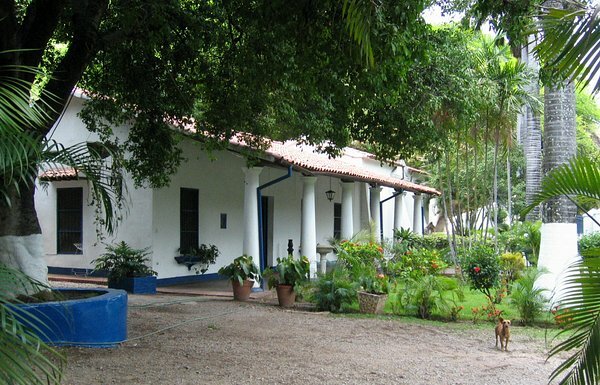 Across the road and up the hill from the sugar mill museum was a restored house of that camp that contained the Museo Histórico Militar. 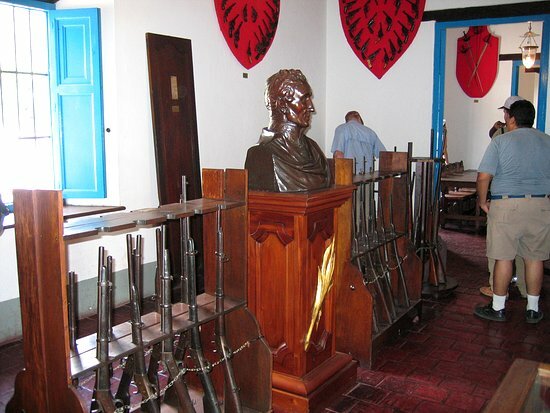 The museum contained a collection of weaponry from the independence war period and plenty of Bolivariana (stuff about Bolívar). One portion has been left unrestored. Behind the military museum was a portion of the camp that was the armory. On March 25th, 1814 the loyalists surrounded the the camp. 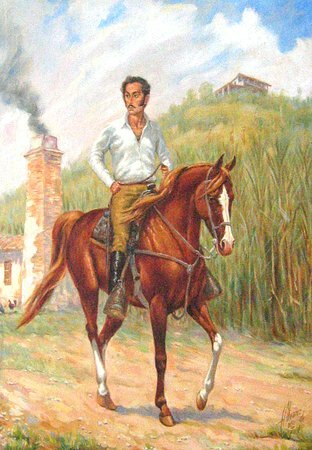 Colombian patriot Colonel Antonio Ricaurte, who was working with Bolívar, and his small contingent of men were guarding the camp. Fearing that the Spaniards would take the camp and win the battle for the area he dismissed the men in his charge, drew the enemy into the armory and ignited the gunpowder kegs killing the loyalists and himself. 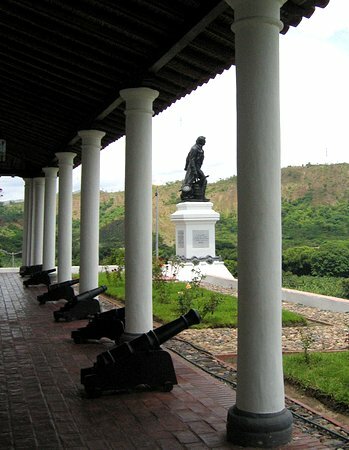 Below is a statue of Ricaurte in front of the museum that overlooked the valley. 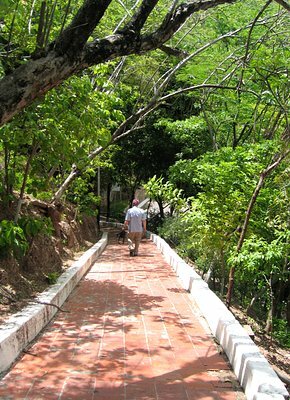 The town of La Victoria is named for the victory that was eventually won in the battle of San Mateo that Ricaurte's actions helped bring about. 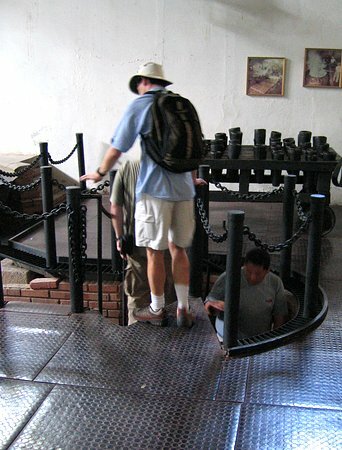 Below is just the walkway up to the museum.